As was previously shown in Rush Was Right, the Democrats are doing exactly as Rush predicted they would, broadcasting unsubstantiated numbers and claims of how America is turning against Rush Limbaugh. I have received a second claim of inflated numbers now with them trying to obfuscate their obvious failure in attacking Rush Limbaugh. This week, you did what seemed impossible - you drowned out Rush Limbaugh. Thanks to you, Rush and his Republican followers in Congress got a taste of what they're in for if they keep attacking President Obama and Democrats working for change. Rush himself predicted that we would exceed our goal in signatures to our petition drive against him. Maybe for the first time ever, he was right about something. Over 70,000 of you signed our petition to break the back of Rush Limbaugh style politics. 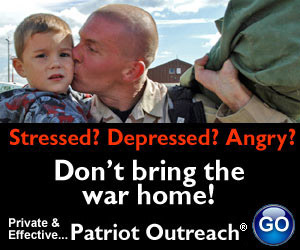 Your response was so overwhelming that you caught the attention of media outlets like CNN, Fox News, and Air America. Not to mention Rush himself. Check out our video about your response to Rush Limbaugh and then make sure everyone you know sees it too. More than ever, the party of Rush Limbaugh has proved that they are out of touch, out of ideas, and just plain out to lunch. And thanks to you, those Republicans in Congress who keep supporting Rush by standing against change will soon be out of a job. Thanks again for standing strong. Ms. Malkin makes note of the one thing that Democrats are unused to and not prepared for, Rush fights back and fights back hard! But, for sake of argument, let’s say Wolff’s claim is somewhat accurate. Let’s give him credit and say the response has been twice what they claim, 140,000. That amounts to two tenths of one percent that voted for B HO. Not even a full one per cent! It’s even less than one percent of the audience that Rush has! Typical left winged socialist drivel and diatribe. Inflate an insignificant number to make it appear large. And don’t forget, I doubled the claimed number for them. That’s right, we stand with the American People, those hard working individuals who must work to support themselves and ask for little, just the freedom to get out and try. That’s who Rush stands for and who we stand for. Obama and the rest of the Democrat cabal must be worried as they continue to court Republican support for a massive overspending bill laden with pork that can easily pass without Republicans. Sadly, I think the RINO’s in the Senate will cross over and vote for it. But the message was sent and it wasn’t by Rush Limbuagh, it was by the American people who overwhelmingly oppose this bail out bill and Obama’s socialist redistribution of wealth. But, like all socialist dictatorial rulers, they need an enemy to blame and point fingers at. Bush was the target for 8 years, but he is gone. The Bolsheviks used Russia’s Czar and the wealthy. 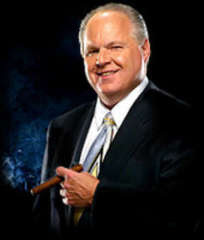 Hitler used the Jews and now, America’s Socialist Demokratik Politburo is using Rush Limbaugh, who will give them a fight they are unprepared for, along with some 20,000,000 listeners. You Dems want a fight? You got it. Better have your white flags at the ready because we freedom loving Americans have had enough and are fighting back. This is exactly what we need to show the Democrats. We are tired of taking you trying to polish up the garbage and make us think we need it. It is time for the Democrats to cross the isle and work with us. This country was not built on liberal ideals. We saw the ugly side of the Democrats with that hatred of President Bush. NOW, you want us to work with a Socialist President. NO! You democrats cross the isle and work with us!! The one sided politics of this nation must come to an end if we are to remain free. Obama and his cabal speak of freedom but only offer enslavement. Stand up, America, while we still can! Ah, but like Barry himself said: "I WON." I am still roiling and rankling over that little bit of 3-year-old Presidential HUBRIS. You must ask yourself what your values are when you say that you support a morbidly obese loudmouth fool who rants and raves about how he wants to destroy our country. Are you really that foolish? I just love it when you dumbass Obamaorons stop in the share your ignorance with me. In case you haven't noticed, it isn't Rush mortgaging the next few generations of America, selling our debt to China and Saudi Arabia, that's your tall, scrawny, marxist mulatto, homey the clown sitting in the Oval office, except when Rahmbo Emanuel send him on errands. The real question isn't whether or not I'm a fool, but if you born as stupid as you are, or had to work at it during your pitiful existence. They're stupid from generations of Dummycraps shitting in the gene pool and telling us how good it is for us. Anything they lack in the brains department NOT covered by inherent stupidity is easily remedied by a course of public education: If they have a brain when they enter, it's pretty well annihilated by the time they leave, thanks to all the dope they shove down kids' throats if they show an inkling of intelligence or even the slightest propensity toward free thought - not to mention the liberal turds shined up and polished before handed out under the guise of "education." Well, Angie, these liberal trolls do keep us entertained. Too bad they can't present a mental challenge, though.